If we win an award, one of our kids loses a tooth (preferably the young ones), or we're caught by the paparazzi leaving a swanky graphic-designer event, or just the state fair, you’ll find it here. Leaked Twitter photos too. If you're lucky. 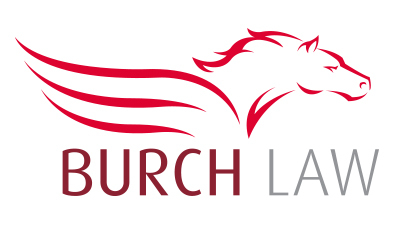 Burch Law's new logo has recently taken flight. ThinkHaus updated the iconic image of the pegasus that Burch Law has featured for many years as its signature logomark. 2018 was the 7th year for Kibble and Cocktails. This fundraiser for DFW Rescue Me has been our pleasure to help coordinate and design for since the beginning. After raising $86,000 this year the total for all the events has grown to $315,000! That's a lot of kibble! At ThinkHaus, three of our favorite things are helping clients succeed, giving back to the community and eating great food. The 2017 Kibble and Cocktails event brings all three together. This will be the sixth year of the event and so far it has raised $154,000 with all proceeds going to DFW Rescue Me's Justice Fund. This year's event promises to provide another great evening of fantastic food while helping out abused dogs. 2 Platinum and 4 Gold statuettes have been added to the ThinkHaus collection via the 2014 MarCom international awards competition honoring excellence in marketing and communications. 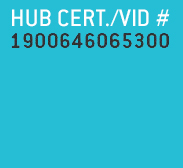 We have great clients who we’re proud to do great work for. Now in our 15th year of being privileged to work with the Naveen Jindal School of Management at UT Dallas we scored high with a Platinum-winning undergraduate brochure, a Gold for the spring 2014 issue of MANAGEMENT Magazine and a second Gold for a story in the magazine. The second Platinum MarCom was a treat for Barking Hound Village — our client for more than 8 years — and the originator of Kibble and Cocktails, an annual event benefitting dog rescue group DFW Rescue Me. The Women’s Business Enterprise Council-SW (WBCS) of which we’re a proud member, earned a Gold MarCom for their 2015 WBCS Sustaining Member Sponsorship brochure. And last, but not least, NorthPark Presbyterian Church’s Reverse Food Truck that supports food pantries was served up a Gold for truck graphics that draw in donations.